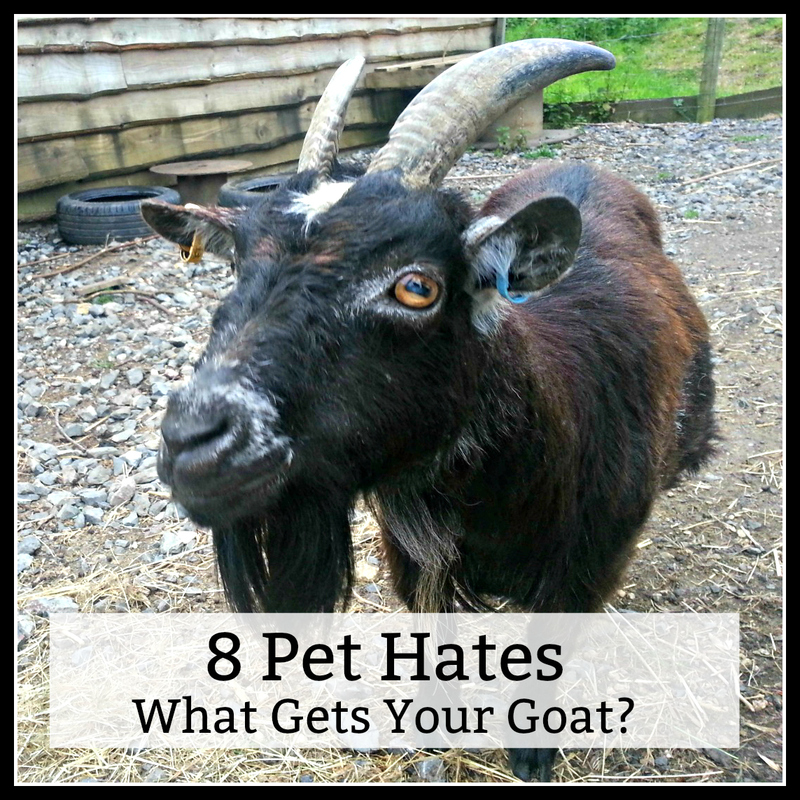 8 Pet Hates - What gets my Goat! This is the epitomy of a #FirstWorldProblems post, but it's not to be taken seriously. I'm writing it for fun and I am totally aware that none of life's little niggles are comparable to all the bad things in the world, but that doesn't mean there isn't room for some lighthearted Mr Meldrew-style moaning about life's little imperfections. I will be inviting other bloggers (or non-bloggers, if you fancy a go) to write their own 8 pet hates, but, to start us off, here's mine. Let me know if you'd like to contribute, in a comment, or through my contact page. I'd love to see what gets other people's goats! Receipts. Why do we need so many?! Receipt, card receipt, coupons, how much money I saved, compared to shopping in a different supermarket, which is not true, because if I shopped elsewhere, I would buy their special offers instead, so it's not even accurate. By the end of a couple of really good shopping weeks, a cloud of receipt confetti flies out of my bag everytime I pull out my purse and it really mounts up too, it can't be good for the environment. All we need is a simple, 'look how much you spent!!' receipt, nothing else. Kudos to Sainsbury's for at least having the common sense to print on both sides but, honestly, enough already! Leaving a little bit in the bottom of the tub/ bottle/ jar that isn't even enough to dip a chip in, but means the leaver doesn't have to rinse it out and put it in the recycling. My fridge is full of them and the worst part is, it makes you think you have enough of whatever it is, then you find out when you need it, that it wouldn't be enough to feed a squirrel. I will find out who does this. Fridge CCTV might be the only answer, but I will find out who keeps the fridge stocked with empties in our house! Half statuses on Facebook. This is a common one, I know, but I couldn't leave it out. This applies to passive-aggressive half statuses, such as 'This just shows who my REAL FRIENDS ARE!!' Shouty, shouty. As well as the cryptic half status, like 'OMG, I can't believe that just happened.' *insert sad/angry/confused emoji* The thing is, I'm not even that nosey. I'm sure if it involves me, I will hear about it through the talking channels that predate Facebook, such as the telephone, and the face to face exchange of words, it bugs me because I just don't get it. What's the point? It seems like a very long-winded way to go about things. If you are in a spot of bother and you need some emotional support from your pals, wouldn't it be quicker to ask? If someone has severely hacked you off, wouldn't it be far more efficient to tell them, rather than hoping they see your angry face and realise it's aimed at them? Then of course there are the paranoid androids that always jump on the status; 'Is this about me?' 'If this is because I... blah, blah, blah *insert irrelevant anecdote*'. 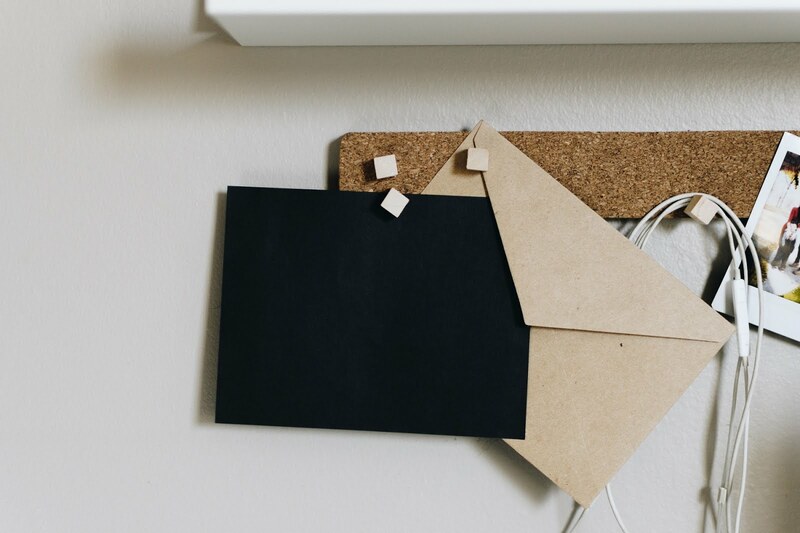 Carrier pigeon would be a better way to communicate. 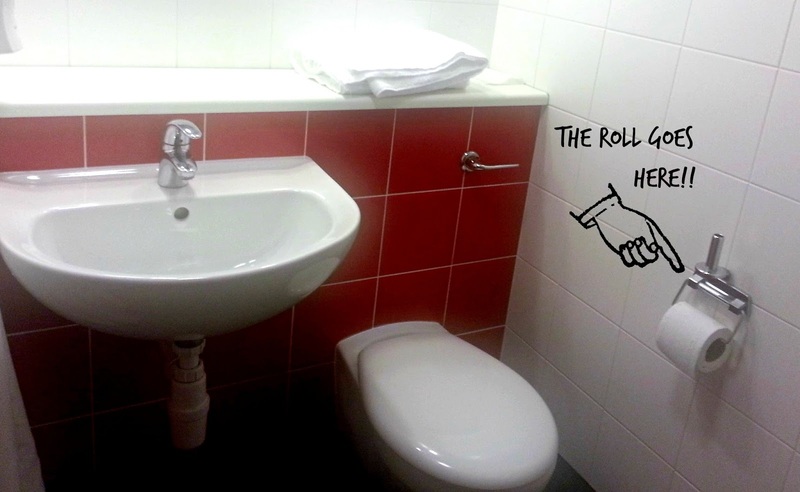 People who don't use the toilet roll holder. This isn't just in my house, I have friends who freely admit they just don't see the point of it. All men, I have to admit. But there is a point, because it's there. It's tidy, like how we put things in drawers and cupboards. This kind of bathroom anarchy can't be allowed to just carry on unchecked. It's meant to go on the holder, it's what it's for. That way you can just pull a bit off, rather than having to pick it up and unravel it, like sellotape, it's the natural way. And overhang please, we're not animals. Primark. This is a bit of a contradiction, because I actually really like a lot of their clothes, but oh my gosh, can they sort their stock control and sizing out?! Everytime I go there, which isn't often, because it is insanely hot inside, they never seem to have the item I want in my size, or my daughter's size, which is a few sizes down from me, but they have hundreds of the same item in sizes 4-8. Now, I realise that I am not exactly a waif, but I also respect that we come in many different sizes and so there must be a market for these tiny clothes. I'm pretty confident they don't represent the majority of the population, though. Going by the amount of these sizes in store, they are clearly expecting a day trip of jockeys or have a vast amount of faith in the British population sticking to their respective diets. There are piles of tiny clothes, stacked up on the shop floor, falling out of the overflowing bargain bin, they are everywhere. But I can't seem to buy what I want in my size for all the tea in China. It's so frustrating. Judgemental people. This is a bit of a generalisation, I know, but I'll expand. There are a lot of people who don't know that I can barely walk some days because of a medical condition and that I am always in pain. This is because I know they will say things like 'why don't you take a pain killer?' 'What's wrong with you this time?' 'Have you tried exercise?' Perhaps if you tried harder/ weren't so lazy..' and so on, and so on. Now, anyone that has lived with chronic pain will tell you that it's not a lifestyle choice and no chronic pain sufferer has ever said 'Thank goodness I have chronic pain, so that I can be lazy and not have to bother doing the things other people take for granted.' Doesn't happen. 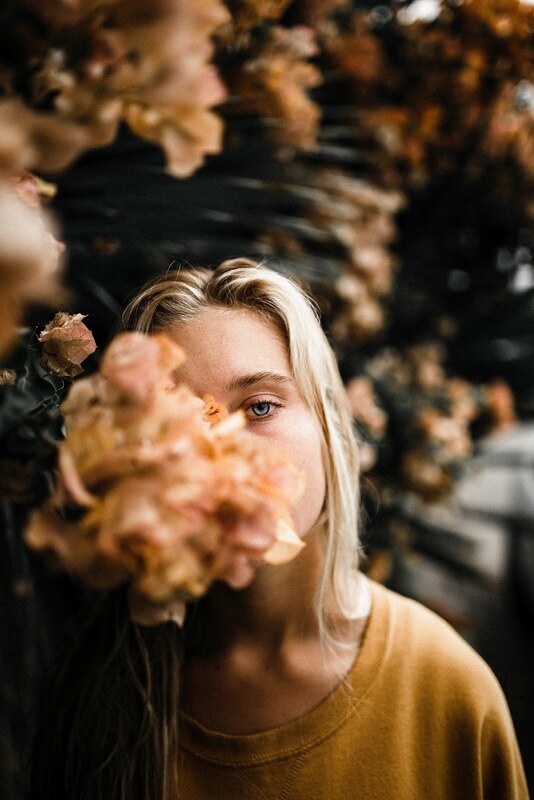 But, because of judgemental people, it gets pretty lonely, because it's very limiting who I can talk to about it and I spend a lot of effort hiding it, that I could spend on something more rewarding. People who talk REALLY LOUDLY all the time. I was once on a really long coach journey and there was a couple sitting quite a few rows behind who clearly felt that they were the most interesting people on the coach and everybody would be far better off listening to their fascinating conversation, than being able to hear their own. Sadly, they weren't nearly as interesting as they thought they were, but, nevertheless, by the time we got off three hours later, we, and everyone else on the coach, knew every tiny detail off these individuals boring lives. If you are that person who thinks they are so hilarious, the whole world needs to hear, trust me, you probably aren't. There are occasions; buses, trains, waiting rooms, public spaces, etc, where people may want to do their own thing and not suffer the intrusion of other people's bletherings. Unless they are having a steaming row of course, in which case it probably would be more entertaining. Couriers who knock and run. Sometimes it takes me a little while to get to the front door (see above). As I'm a blogger, though, I do get quite a lot of parcels. Postie doesn't know I'm a blogger, he must think I'm a shopoholic, but he is used to me and knows I'm usually in, especially if the car's there. Some couriers however, have the patience of a tasmanian devil after eating all the orange Smarties and I know it will be a millisecond before he starts writing out that red card. He always looks annoyed when I open the door and he's got the card in his hand, ready to post. I wonder if he has a bet with himself to see if he can make a getaway before anyone answers. Conversely, I have another courier, who hammers on the door, like it's a stately home. I don't know where he thinks I must be not to hear the door. Perhaps he thinks it's like the TARDIS inside. 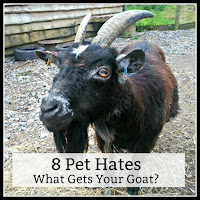 Those are my 8 Pet Hates, I think I did well to stop at 8, in all honesty, I definitely could have gone on. Maybe I'm just an especially irritated person. I would love to know if anyone agrees with me, or if I'm just taking life too seriously? Completely agree with number 3 and 8. Those FB status's can be so annoying! Yep I agree with them all, I could add few more too! Oh god the facebook statuses properly grind my gears!! Win 2 Brick by Brick Space Heroes Sets! © The Parent Game. All rights reserved.